A wedding planner can take over the planning process for you, be your organizer and consultant for vendors and information, or the coordinator on the day of the event, while always acting as a friend throughout the process. Whatever level of services you may need, Simply Sweet Weddings and Events is there to make your fairytale wedding come to life. Holly, the owner, and her team work closely with the couple, making them feel and know that they have a friend in the planning process. 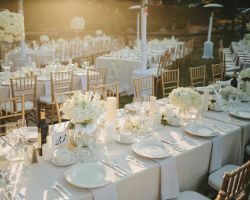 Weddings by the Sea is one of the most unique planning companies in the Long Beach area as they specialize in stress-free events that are specifically held near the water. They have ‘no-fuss’ packages that have a pre-determined set up for you and a few guests as well as a completely personal package in which they come up with a unique event design just for you. Whatever you would like to happen on your big day, this company can get it done. 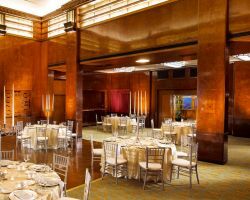 The Queen Mary is one of the best and most highly sought after wedding venues in California, and also happens to be the home of one of the top wedding planners. Hiring this venue means gaining access to a team of planners who are completely familiar with the venue, what it has to offer as well as outside vendors and options. 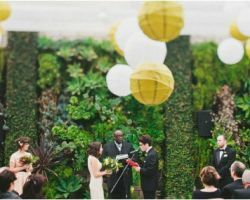 Discuss the style you would like and your design dreams and the planners and staff will help you create a ceremony and party that are truly unique. Whether you have been dreaming of your wedding for a long time or are starting your wedding vision from scratch, A Fairytale Wedding can make your big day feel special and unique and treat you like a celebrity. They have helped countless couples plan and execute weddings perfectly so they know how the process should go and how much effort it takes to make a special event happen. They will take care of every detail while you make the big decisions and get to enjoy the occasion. Events by Katherine is the passion and life’s work of the owner Katherine. This consultant and her team works to make the day of the event and the planning process as stress-free for the clients as possible. For weddings in particular, this planning company is known for organizing beautiful and memorable events. They go through a checklist of details with the couple and keep the entire event on budget while executing a truly original and personal design concept that the team has come up with. At Your Door Events is the home of two very talented and artistic wedding planners who work brilliantly together to pull off the most lavish and beautiful weddings and events. Sara and Jenny each have ten years of experience in the industry and offer their expertise to clients by appointment only. Once you have had a consultation with these ladies, they will help you find the right vendors, come up with an event design and help you to execute the entire thing with ease. A wedding can be a large or small event, but the success, regardless of the size comes down to the planning and the details. 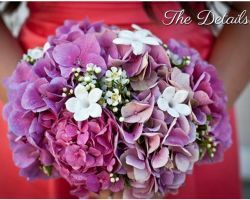 Stylish Details is a company dedicated to ensuring there is not a petal or hair out of place on the big day, which helps to ensure the bigger picture is breathtakingly beautiful. These Long Beach wedding planners will help to style your event to be unique and personalized so it is not only the perfect wedding day but the perfect day for you as a couple. Planning a wedding requires a certain level of organization and patience. If you are not known for having these qualities then you might be best suited to hire a wedding planner who does like the ones at Simply a Soiree. 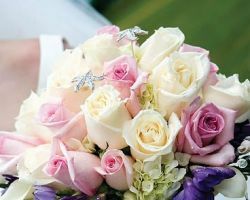 These certified wedding planners in Long Beach, CA have years of experience designing and executing events flawlessly. Hiring a consultant from this company will help to ensure the success of your day as well as ensure that you are able to relax and enjoy it. Small Wonders Event Production and Design is a boutique style design company that works closely with their clients to pull off both luxurious and rustic events. They know that this day should be about celebrating the love you share with your partner which is why they organize everything and execute everything so you do not have to worry and can enjoy the day. Whether you are a local couple or a couple looking to plan a destination wedding, this company can assist you throughout the planning process.